Along with my passion for beauty, I am also very passionate about fitness and keeping my mind and body in shape and flexible to whatever life throws at me. I will try any type of fitness program to always keep my body guessing and excited to workout. Some pros that I follow include Tone It Up (if you know me this is not new info), Kayla Itsines (aka #deathbykayla), Tracey Anderson, and now I can add Sonia Satra to the (growing) list. 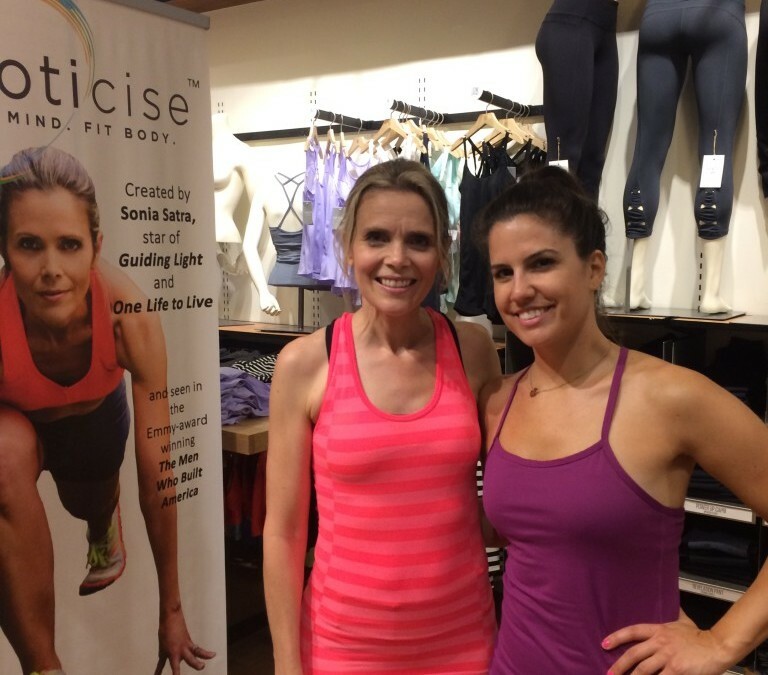 I recently got to experience a new program by mind-body guru Sonia Satra. Sonia is the founder and CEO of Moticise, which is a blend of motivation and exercise (hence, the name). It felt sort of like a moving meditation because the class incorporates high intensity moves (think burpees and jump squats) and also Mindset Reset tools like visualizations, goal-setting and affirmations. The workout will have your heart pumping and your brain focused on what you want to create in your life. It can be anything from better relationships, self-image, new career, abundance… anything at all! If you feel your life could be better than it is, want to get in shape, and create the life of your dreams — this program will give you the mindset and inspiration to get there. Moticise is legit! It is based on scientific research from Harvard Medical School and the American College of Sports and Medicine. The studies show that exercise not only boosts your mood, focus and creativity, but also creates new neural pathways in your brain. And by adding the mindset tools to the exercises you harness the power to decide what those neural pathways are, so you are literally rewiring your brain for success. If you are in the NYC area and want to try one of Sonia’s classes click here for the deets. No worries if you can’t make it to her class, you can also check out the Moticise Mindset Reset DVD. Sonia is holding a gratitude contest since July is the month of GRATITUDE. Then tag 3 friends to do it too! That’s it. Good luck! If you have tried Moticise I would love to hear your thoughts on it. Let me know in the comments!